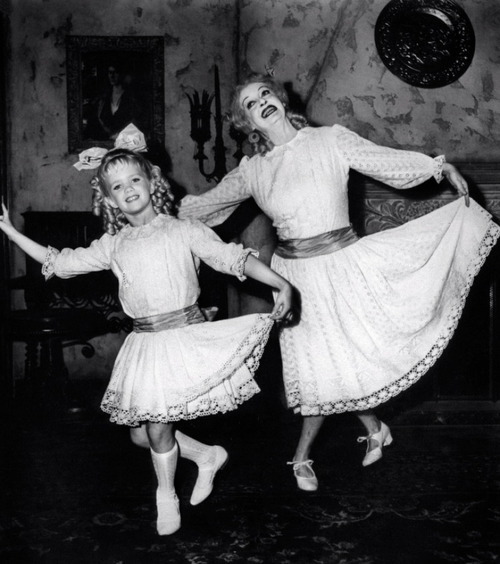 Bette Davis and Julie Allred. . Wallpaper and background images in the What Ever Happened to Baby Jane? club tagged: julie allred what ever happened to baby jane behind the scenes bette davis actresses joan crawford. This What Ever Happened to Baby Jane? photo contains polonaise and kirtle. There might also be bouquet, corsage, posy, nosegay, bridesmaid, maid of honor, street, city scene, and urban setting.